You: "Good Morning, Melissa! How are you?" You:"Good Morning, Melissa! How are you?" Me: "Theeeeeeeee hilllllllls are aliiiive with the sound of music"
You can get a pound of plums for less than a dollar right now. 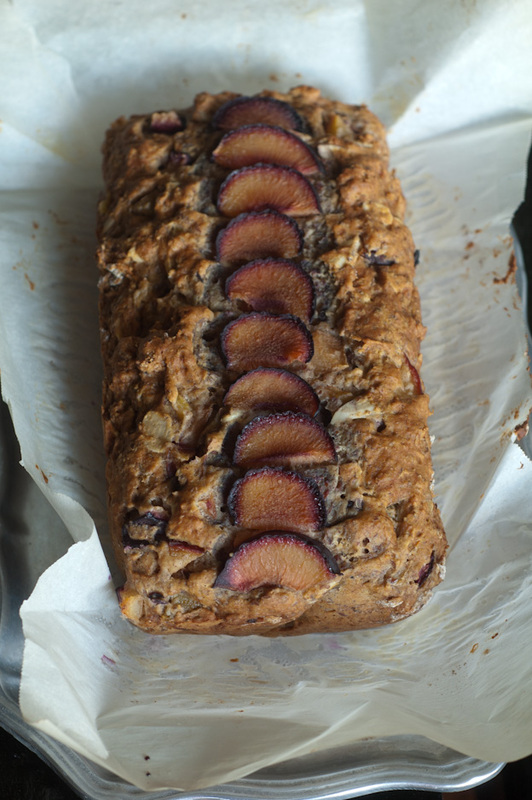 So lately plums have been going into everything I make. No complaints here. 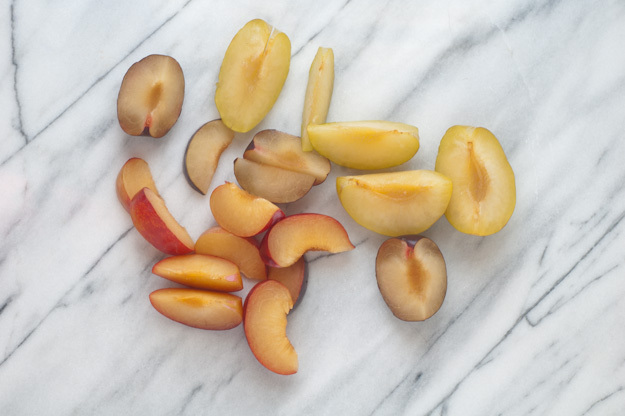 I'm nowhere near getting tired of plums (or peaches for that matter). 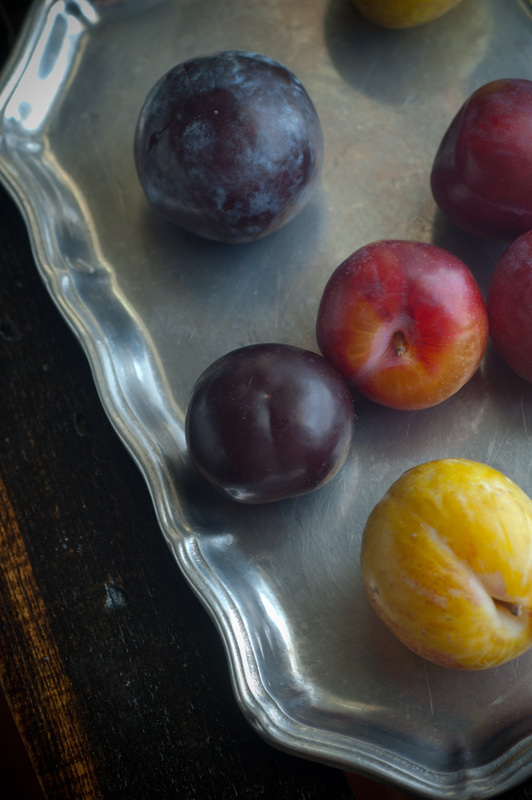 Plums & honey go together like peanut butter and jelly, ice cream and cake, cheese and... everything. You get the point, so you know I'm not lying when I say this bread is awesome! 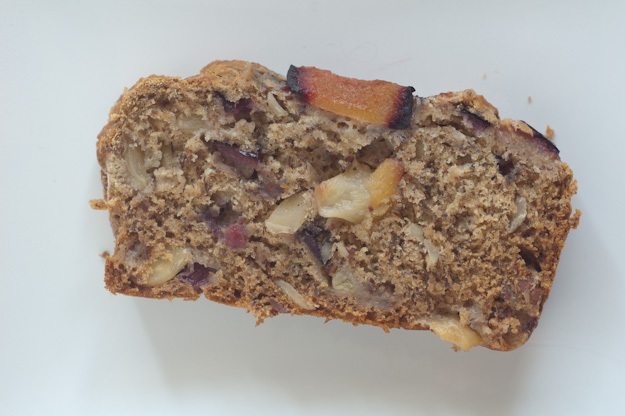 It's moist with hints of honey (duh) and bits of juicy plums (duh) in each bite. This recipe is adapted from one of my favorite books, The Vintage Tea Party Book by Angel Adoree. If you have a thing for vintage plates, beautifully photographed tea party foods, foxes, rabbits, and victory rolls, then you need this book. There is another book out by Adoree that I have my eyes on. Hoping my wallet allows it to be a part of my life soon. The original recipe calls for walnuts and I've made this plenty times with walnuts & it's delicious. However I was out when I made this so I added almond slivers instead. Still pretty darn good! Preheat oven to 350. Prepare a 1 lb loaf pan. Sift flour, flaxseed, baking powder, baking soda, salt & spices together in a large bowl; set aside. In a small bowl, mix the almond milk & vinegar together; set aside for 5 minutes. In another small bowl, mix the chia seeds & water; set aside for 5 minutes. Stir in the almond milk mixture, honey, oil, and chia mixture to the flour bowl. Mix until combined. 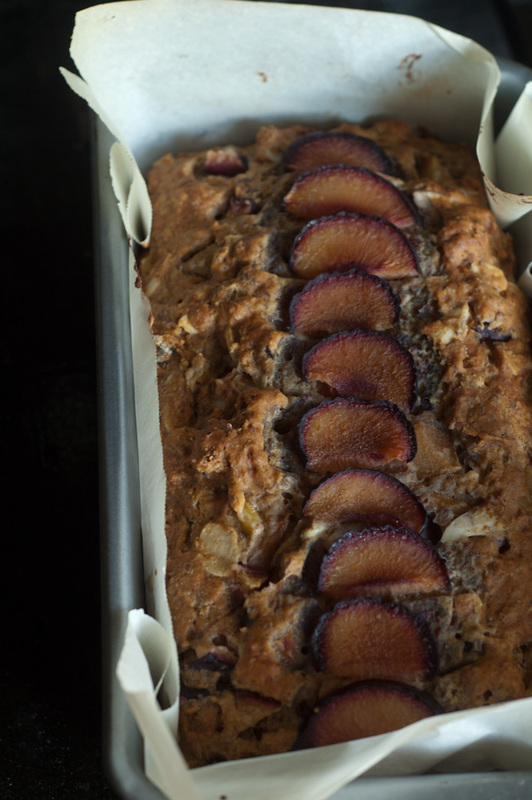 Fold in plums & almonds. 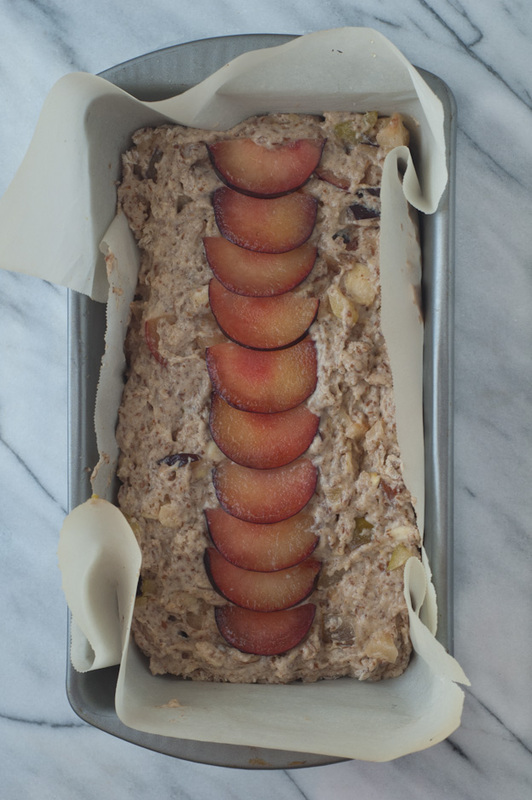 Pour into a prepared loaf pan and bake for 45-55 minutes, until a toothpick comes out clean. Omg I'm so sad I missed out on this bread during plum season!! I could so go for a ripe plum right now. 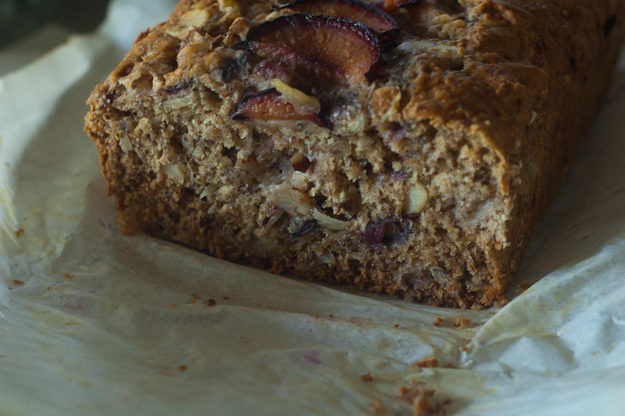 You know, I don't think I've ever combined plum and honey together but that combo/this bread sound SO GOOD and healthy-ish! My fav ;) Why do you make everything I want to eat?